photo: “Joaquin Geostationary VIS-IR” by United States Naval Research Laboratory – http://www.nrlmry.navy.mil/archdat/test/kml/TC/2015/ATL/11L/visir/. Licensed under Public Domain via Wikimedia Commons. 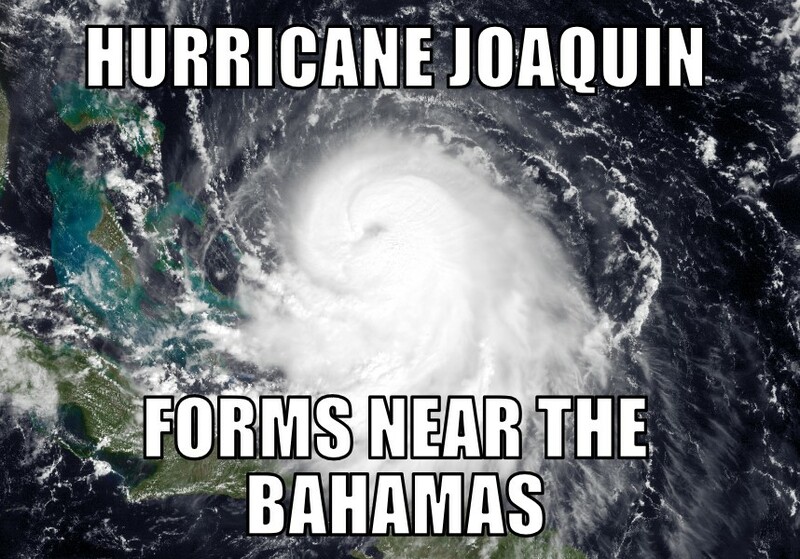 This entry was posted in hurricanes, Memes, News, Weather and tagged atlantic, hurricane, Hurricane Joaquin, meme, memenews, memes, news, the bahamas, weather. Bookmark the permalink.